Aren’t critics of genetically engineered food anti-science? Isn’t the debate over GMOs (genetically modified organisms) a spat between emotional but ignorant activists on one hand and rational GM-supporting scientists on the other? A new report released today, “GMO Myths and Truths”, challenges these claims. The report presents a large body of peer-reviewed scientific and other authoritative evidence of the hazards to health and the environment posed by genetically engineered crops and organisms (GMOs). Unusually, the initiative for the report came not from campaigners but from two genetic engineers who believe there are good scientific reasons to be wary of GM foods and crops. One of the report’s authors, Dr Michael Antoniou of King’s College London School of Medicine in the UK, uses genetic engineering for medical applications but warns against its use in developing crops for human food and animal feed. Dr Antoniou said: “GM crops are promoted on the basis of ambitious claims – that they are safe to eat, environmentally beneficial, increase yields, reduce reliance on pesticides, and can help solve world hunger. “I felt what was needed was a collation of the evidence that addresses the technology from a scientific point of view. Another author of the report, Dr John Fagan, is a former genetic engineer who in 1994 returned to the National Institutes of Health $614,000 in grant money due to concerns about the safety and ethics of the technology. He subsequently founded a GMO testing company. Dr Fagan said: “Crop genetic engineering as practiced today is a crude, imprecise, and outmoded technology. It can create unexpected toxins or allergens in foods and affect their nutritional value. Recent advances point to better ways of using our knowledge of genomics to improve food crops, that do not involve GM. “Over 75% of all GM crops are engineered to tolerate being sprayed with herbicide. This has led to the spread of herbicide-resistant superweeds and has resulted in massively increased exposure of farmers and communities to these toxic chemicals. Epidemiological studies suggest a link between herbicide use and birth defects and cancer. The third author of the report, Claire Robinson, research director of Earth Open Source, said, “The GM industry is trying to change our food supply in far-reaching and potentially dangerous ways. We all need to inform ourselves about what is going on and ensure that we – not biotechnology companies – keep control of our food system and crop seeds. A shorter summary version will be released in the coming weeks. Genetic engineering as used in crop development is not precise or predictable and has not been shown to be safe. The technique can result in the unexpected production of toxins or allergens in food that are unlikely to be spotted in current regulatory checks. GM crops, including some that are already in our food and animal feed supply, have shown clear signs of toxicity in animal feeding trials – notably disturbances in liver and kidney function and immune responses. GM proponents have dismissed these statistically significant findings as “not biologically relevant/significant”, based on scientifically indefensible arguments. Certain EU-commissioned animal feeding trials with GM foods and crops are often claimed by GM proponents to show they are safe. In fact, examination of these studies shows significant differences between the GM-fed and control animals that give cause for concern. GM foods have not been properly tested in humans, but the few studies that have been carried out in humans give cause for concern. The US FDA does not require mandatory safety testing of GM crops, and does not even assess the safety of GM crops but only “deregulates” them, based on assurances from biotech companies that they are “substantially equivalent” to their non-GM counterparts. This is like claiming that a cow with BSE is substantially equivalent to a cow that does not have BSE and is thus safe to eat! Claims of substantial equivalence cannot be justified on scientific grounds. The regulatory regime for GM foods is weakest in the US, where GM foods do not even have to be assessed for safety or labelled in the marketplace, but in most regions of the world regulations are inadequate to protect people’s health from the potential adverse effects of GM foods. In the EU, where the regulatory system is often claimed to be strict, minimal pre-market testing is required for a GMO and the tests are commissioned by the same companies that stand to profit from the GMO if it is approved – a clear conflict of interest. No long-term toxicological testing of GMOs on animals or testing on humans is required by any regulatory agency in the world. Biotech companies have used patent claims and intellectual property protection laws to restrict access of independent researchers to GM crops for research purposes. As a result, limited research has been conducted on GM foods and crops by scientists who are independent of the GM industry. Scientists whose work has raised concerns about the safety of GMOs have been attacked and discredited in orchestrated campaigns by GM crop promoters. Most GM crops (over 75%) are engineered to tolerate applications of herbicides. Where such GM crops have been adopted, they have led to massive increases in herbicide use. Roundup, the herbicide that over 50% of all GM crops are engineered to tolerate, is not safe or benign as has been claimed but has been found to cause malformations (birth defects), reproductive problems, DNA damage, and cancer in test animals. Human epidemiological studies have found an association between Roundup exposure and miscarriage, birth defects, neurological development problems, DNA damage, and certain types of cancer. A public health crisis has erupted in GM soy-producing regions of South America, where people exposed to spraying with Roundup and other agrochemicals sprayed on the crop report escalating rates of birth defects and cancer. A large number of studies indicate that Roundup is associated with increased crop diseases, especially infection with Fusarium, a fungus that causes wilt disease in soy and can have toxic effects on humans and livestock. Bt insecticidal GM crops do not sustainably reduce pesticide use but change the way in which pesticides are used: from sprayed on, to built in. Bt technology is proving unsustainable as pests evolve resistance to the toxin and secondary pest infestations are becoming common. GM proponents claim that the Bt toxin engineered into GM plants is safe because the natural form of Bt, long used as a spray by conventional and organic farmers, has a history of safe use. But the GM forms of Bt toxins are different from the natural forms and could have different toxic and allergenic effects. GM Bt toxin is not limited in its toxicity to insect pests. GM Bt crops have been found to have toxic effects on laboratory animals in feeding trials. GM Bt crops have been found to have toxic effects on non-target organisms in the environment. Bt toxin is not fully broken down in digestion and has been found circulating in the blood of pregnant women in Canada and in the blood supply to their foetuses. The no-till method of farming promoted with GM herbicide-tolerant crops, which avoids ploughing and uses herbicides to control weeds, is not more climate-friendly than ploughing. No-till fields do not store more carbon in the soil than ploughed fields when deeper levels of soil are measured. No-till increases the negative environmental impacts of soy cultivation, because of the herbicides used. Golden Rice, a beta-carotene-enriched rice, is promoted as a GM crop that could help malnourished people overcome vitamin A deficiency. But Golden Rice has not been tested for toxicological safety, has been plagued by basic development problems, and, after more than 12 years and millions of dollars of research funding, is still not ready for the market. Meanwhile, inexpensive and effective solutions to vitamin A deficiency are available but under-used due to lack of funding. GM crops are often promoted as a “vital tool in the toolbox” to feed the world’s growing population, but many experts question the contribution they could make, as they do not offer higher yields or cope better with drought than non-GM crops. Most GM crops are engineered to tolerate herbicides or to contain a pesticide – traits that are irrelevant to feeding the hungry. High adoption of GM crops among farmers is not a sign that the GM crop is superior to non-GM varieties, as once GM companies gain control of the seed market, they withdraw non-GM seed varieties from the market. The notion of “farmer choice” does not apply in this situation. GM contamination of non-GM and organic crops has resulted in massive financial losses by the food and feed industry, involving product recalls, lawsuits, and lost markets. When many people read about high-yielding, pest- and disease-resistant, drought-tolerant, and nutritionally improved super-crops, they think of GM. In fact, these are all products of conventional breeding, which continues to outstrip GM in producing such crops. The report contains a long list of these conventional crop breeding successes. Certain “supercrops” have been claimed to be GM successes when in fact they are products of conventional breeding, in some cases assisted by the non-GM biotechnology of marker assisted selection. 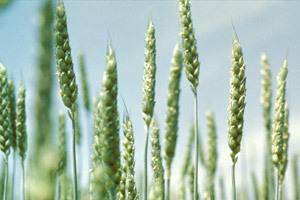 Conventional plant breeding, with the help of non-GM biotechnologies such as marker assisted selection, is a safer and more powerful method than GM to produce new crop varieties required to meet current and future needs of food production, especially in the face of rapid climate change. Conventionally bred, locally adapted crops, used in combination with agroecological farming practices, offer a proven, sustainable approach to ensuring global food security. Michael Antoniou, PhD is reader in molecular genetics and head, Gene Expression and Therapy Group, King’s College London School of Medicine, London, UK. He has 28 years’ experience in the use of genetic engineering technology investigating gene organisation and control, with over 40 peer reviewed publications of original work, and holds inventor status on a number of gene expression biotechnology patents. Dr Antoniou has a large network of collaborators in industry and academia who are making use of his discoveries in gene control mechanisms for the production of research, diagnostic and therapeutic products and human somatic gene therapies for inherited and acquired genetic disorders. John Fagan, PhD is a leading authority on sustainability in the food system, biosafety, and GMO testing. He is founder and chief scientific officer of Global ID Group, a company with subsidiaries involved in GMO food testing and GMO-free certification. He is a director of Earth Open Source. Earlier, he conducted cancer research at the US National Institutes of Health (NIH) and in academia. He holds a PhD in biochemistry and molecular and cell biology from Cornell University. Dr Fagan became an early voice in the scientific debate on genetic engineering when in 1994 he took an ethical stand challenging the use of germ line gene therapy (which has subsequently been banned in most countries) and genetic engineering in agriculture. He underlined his concerns by returning a grant of around $614,000 to the US National Institutes of Health, awarded for cancer research that used genetic engineering as a research tool. He was concerned that knowledge generated in his research could potentially be misused to advance human germ-line genetic engineering (for example, to create “designer babies”), which he found unacceptable on grounds of both safety and ethics. For similar reasons, around the same time, he withdrew applications for two additional grants totalling $1.25 million from the NIH and the National Institute of Environmental Health Sciences (NIEHS). In 1996 he started Global ID when he saw that GMO testing could be useful to assist industry in providing consumers with the transparency that they desired regarding the presence of GMOs in foods. Claire Robinson, MPhil is research director at Earth Open Source. She has a background in investigative reporting and the communication of topics relating to public health, science and policy, and the environment. She is an editor at GMWatch (www.gmwatch.org), a public information service on issues relating to genetic modification, and was formerly managing editor at SpinProfiles (now Powerbase). Puerto Rico: Etiquetado de transgénicos AHORA! ¡Exhortamos a tod@s a hacer cabildeo ciudadano por la etiquetación de productos transgénicos en Puerto Rico! Más de 50 países poseen reglamentación para la etiquetación de los alimentos genéticamente modificados. La literatura científica que apunta a la peligrosidad del consumo de alimentos genéticamente modificados es abundante y creciente. Solo tienes que llamar al 787-724-2030, preguntar por la Comisión de Salud y exigir fecha para las vistas públicas. Mientras más personas llamemos, más presión tendrán para llevar a cabo las vistas. No dejemos pasar este momento. Tenemos hasta el 30 de junio, porque si no, tendríamos que esperar a la próxima sesión del Senado. !Lo mínimo a lo que tenemos derecho es conocer la calidad de lo que comemos! Seeds of Freedom from The ABN and The Gaia Foundation on Vimeo. The story of seed has become one of loss, control, dependence and debt. It’s been written by those who want to make vast profit from our food system, no matter what the true cost. It’s time to change the story. A landmark film from The Gaia Foundation and the African Biodiversity Network. Seeds of Freedom charts the story of seed from its roots at the heart of traditional, diversity rich farming systems across the world, to being transformed into a powerful commodity, used to monopolise the global food system.The film highlights the extent to which the industrial agricultural system, and genetically modified (GM) seeds in particular, has impacted on the enormous agro -biodiversity evolved by farmers and communities around the world, since the beginning of agriculture. Seeds of Freedom seeks to challenge the mantra that large-scale, industrial agriculture is the only means by which we can feed the world, promoted by the pro-GM lobby. In tracking the story of seed it becomes clear how corporate agenda has driven the take over of seed in order to make vast profit and control of the food global system. Through interviews with leading international experts such as Dr Vandana Shiva and Henk Hobbelink, and through the voices of a number of African farmers, the film highlights how the loss of indigenous seed goes hand in hand with loss of biodiversity and related knowledge; the loss of cultural traditions and practices; the loss of livelihoods; and the loss of food sovereignty. The pressure is growing to replace the diverse, nutritional, locally adapted and resilient seed crops which have been bred by small-scale farmers for millenia, by monocultures of GM seed. Alongside speakers from indigenous farming communities, the film features global experts and activists Dr Vandana Shiva of Navdanya, Henk Hobbelink of GRAIN, Zac Goldsmith MP (UK Conservative party), Canadian farmer Percy Schmeiser, Kumi Naidoo of Greenpeace International, Gathuru Mburu of the African Biodiversity Network, Liz Hosken of The Gaia Foundation and Caroline Lucas MP (UK Green party). This film is co-produced by The Gaia Foundation and the African Biodiversity Network. In collaboration with GRAIN, Navdanya International and MELCA Ethiopia . "Seed Giants vs. U.S. Farmers." New report by Center for Food Safety. Does Monsanto own all future generations of genetically modified seeds that it sells? The Missouri-based agribusiness giant wants farmers to pay a royalty to plant any seed that descended from a patented original. The legal decision has ramifications for other patented "inventions" that reproduce themselves like strands of DNA. The U.S. Supreme Court appeared to side with Monsanto in oral arguments heard this past February in a lawsuit that the world's largest seed company has brought against Vernon Hugh Bowman, a 75 year old farmer in Indiana, who grows corn, soybeans and wheat on a small farm of 600 acres (242 hectares). The impending court decision, which will probably come this June, has sparked alarm among consumer advocates. "Judges don't understand agriculture," says Bill Freese, science policy analyst for the Center for Food Safety, a Washington DC based watchdog group. "The Monsantos of the world have everyone convinced through a massive misinformation campaigns that biotech crops are essential to feed the world, and patents are necessary for biotech crops. So there's this patina of virtuous innovation when in fact what biotechnology is really used for primarily is to develop pesticide-promoting crops." A new paper “Sustainability and innovation in staple crop production in the US Midwest” published in the International Journal of Agricultural Sustainability challenges high profile claims about the benefits of GM crops. Led by University of Canterbury, New Zealand researchers, the study analysed data on agricultural productivity in north America and western Europe over the last 50 years, focusing on maize, rapeseed and wheat. It found that the biotechnologies used in north American staple crop production are lowering yields and increasing pesticide use compared to western Europe. A conspicuous difference in choices is the adoption of GM seed in North America, and the use of non-GM seed in Europe. * GM cropping systems have not contributed to yield gains, and appear to be eroding yields compared to the equally modern agroecosystem of Western Europe. This may be due in part to technology choices beyond GM plants themselves, because even non-GM wheat yield improvements in the US are poor in comparison to Europe. Therefore, the agricultural system (innovation and biotechnology choices) of Western Europe shows more promise of meeting future food needs than does the US system. * Both herbicide and insecticide use trends are increasing in the US relative to achievements in Western Europe. Hence the agricultural system of Western Europe appears to be reducing chemical inputs and thus is becoming more sustainable than the US, without sacrificing yield gains. The surprise appearance of Monsanto’s unapproved GE wheat in an Oregon field last month dominated the “bad GE news” cycle of the day, stoking worries among farmers, millers, bakers and eaters about the extent of the contamination. Public outcry and demands to end open-air field testing of experimental GE crops are growing louder. And the discovery of rogue GE wheat in Oregon has driven key trading partners — like Japan and Korea — to suspend some wheat imports. All this exploded just days after millions of people around the world marched against Monsanto, denouncing its control, corruption and contamination of our food systems. 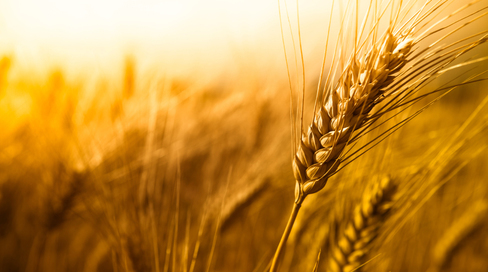 GE wheat in the loose is the latest in a series of warning signals that the systems we have put in place to ensure a vibrant and healthy food system are not working. We have had nearly two dozen other major incidents of noncompliance with the U.S. Department of Agriculture's notoriously lax rules on GE crops. Several years back Bayer's experimental GE rice contaminated our rice supply, eliciting import bans from Europe and Japan. And “Starlink corn,” a genetically engineered variety approved only for animal feed,somehow got into our tacos and corn chips. Undeterred by the ongoing genetic contamination of our food and farms, USDA continues to allow some 1,000 field trials to test new GE crops each year, covering thousands of acres in multiple states. This little known, searchable USDA database reveals just how extensive and widespread these field trials are. Genetic drift aside, these test plots are typically doused heavily with pesticides that can drift from the fields where they're applied, threatening the health of local communities and contaminating air, soil and water. In Hawai’i — the global center of the Big 6 pesticide/GE corporations' open air field testing operations — a fierce battle is heating up, with Hawai’ian residents no longer willing to let the pesticide industry exploit their land and damage their health. It’s not just our food and fields that have been contaminated. Our public agencies — those that bear the serious responsibility of protecting the public interest, our health and well-being — have been over-run by corporate influence. The revolving door between Big 6 industry representatives and USDA offices spins without pause, and millions of corporate lobby dollars flow directly into congressional campaign funds. Recently, in a move that (on the surface) seemed to go against the grain of corporate control, USDAannounced its intention to produce a full “environmental impact statement” (EIS) regarding Dow and Monsanto’s new and highly controversial 2,4-D and dicamba-resistant GE crops. After receiving over 500,000 public comments last year — highlighting the dangers to farmers’ livelihoods and the health and well-being of rural communities — the agency acknowledged that its decision on these crops could have a significant effect on the “quality of the human environment.” Many, myself included, welcomed this news. For one thing, the EIS process is long enough that it will delay any possible commercialization of these crops into the 2015 season. More importantly, the decision suggested that USDA might be preparing to pull its head from the corporate sands and began to look around at what is happening to our farmers and our rural landscape. Maybe that's what the agency will do with the EIS. After all, USDA says it's all about "helping rural America thrive" and "conserving the Nation's natural resources." But I’m worried. Buried in the middle of the EIS notice, are signals from USDA that it has no intention of taking its own findings seriously. The agency warns that despite whatever the EIS might conclude regarding the GE seeds' broader impacts on rural communities, the agency has “[no] authority to address those impacts beyond what the Plant Protection Act requires.” And the latter simply requires USDA to determine whether or not a new GE seed might be a “plant pest” that could harm another crop or plant. A “yes/no” decision on "pest status" almost always enables the agency to approve the new GE seed, a decision the Big 6 corporations have come to expect. It's time for USDA to take a long, hard and honest look at the full range of impacts of GE crops on our food and farming system. And then actually use this information to guide the agency’s decisions to safeguard our collective well-being. Gee, what a good idea. As reported in the New York Times, the prestigious World Food Prize was awarded today to a trio of scientists who had important roles in the early development of crop genetic engineering. One, Robert Fraley, is at Monsanto, and another Mary-Dell Chilton, is with another seed giant, Syngenta. The third is European scientist Marc Van Montagu. When I was a doctoral student doing research using molecular biology in the 1980s (and in the early 90s as a post-doctoral researcher at USDA), the contributions of Chilton and Van Montagu were invaluable. Thirty years later, the science of applied molecular biology in agriculture, genetic engineering, is mired in controversy. While these awardees have made some important contributions to science, it has not translated into major positive contributions to agriculture and food security—the supposed purpose for awarding the World Food Prize. The 2013 World Food Prize: Monopolizing the War on Hunger? Read the original blog at the Huffington Post. The biotech industry has awarded itself the World Food Prize. A career Monsanto executive, a Syngenta scientist and a private industrial scientist will share the $250,000 prize for "feeding a growing global population." The trouble is, GMO seeds produce feed and fuel, not food. Over the last 20 years they've yet to feed any of the planet's poor or hungry. In any case, the world already produces enough food for 10 billion people, so simply increasing production clearly won't end hunger. The World Food Prize's love affair with biotechnology not only elides the structural causes of hunger; it ignores the documented successes of agroecological methods for building in farm-scale resiliency and ensuring productive, sustainable yields. The World Food Prize has become a corporate celebration of self. 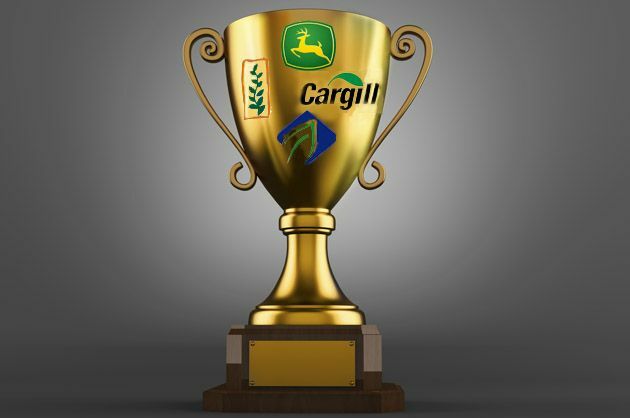 In addition to Syngenta, Pioneer and Monsanto, the foundation's donor list includes Cargill, ADM, Walmart, Pepsi, Land O'Lakes, the American Soybean Association, the Iowa Soybean Association and the Iowa Farm Bureau. Biotech boosters Howard Buffet and Rockefeller foundations each gave a cool million bucks; the Monsanto-friendly State of Iowa gave $1.4 million. Even The New York Times suggested that this award may be a PR attempt to counter the growing global backlash against GMOs. It is also an effort to fibrillate the industry's flat economic performance that has followed the heady days of the 2008-09 food crisis (in which they made record profits while a billion people were pushed into the ranks of the hungry). Apparently the way to revive lackluster seed monopolies is to guarantee them a monopoly on ending hunger. But giving the World Food Prize to the monopolies profiting from hunger is like awarding the Nobel Peace prize for going to war... wait, that's already been done. So it goes. It is no wonder farm and food activists have established the Food Sovereignty Prize to celebrate organizations working to democratize--rather than monopolize--our food system. While the World Food Prize emphasizes increased production through proprietary technologies, the Food Sovereignty Prize rewards social and agroecological solutions coming from those sectors that are most negatively impacted by the corporate food regime. Given by the US Food Sovereignty Alliance, this prize, first awarded in 2009, has been given to honorees that include the MST--Landless Workers Movement of Brazil (2011), Family Farm Defenders (2010): La Via Campesina (2009) and honorable mentions like the Movimiento Campesino a Campesino (Farmer to Farmer Movement), as well as urban organizations like the South Central Farmers of Los Angeles, the Detroit Black Community Food Security Network and the Toronto Food Policy Council. Behind the thinning public veil of the World Food Prize lurk the corporate interests of the monopolies controlling the food system. It is time to recognize the people and organizations fighting to end the injustices that cause hunger in the first place. Update: earlier today, the 2013 World Food Prize was awarded to three scientists: Marc Van Monatgu from Belgium, Mary-Dell Chilton of the US and Robert T. Fraley, also of the US. Fraley is an executive vice president chief technology officer at Monsanto. A statement on the announcement from the World Food Prize Foundation can be found here. Today Secretary of State John Kerry will announce the recipient of the quarter-million-dollarWorld Food Prize. Sometimes called "the Nobel Prize of food," the award has been handed out yearly since 1987 to "outstanding individuals who have made vital contributions to improving the quality, quantity or availability of food throughout the world," according to the website of its namesake foundation. Past winners have included agricultural scientists and presidents of developing nations who have made strides toward growing more food in their countries. Out of 125 donors who contributed more than $500 between fiscal years 2009 and 2011 (the years for which the foundation's tax records are most readily available), 26 were either agribusiness or charities directly affiliated with agribusiness. Together, donations from these companies amounted to more than 28 percent of funds raised for that period, a Mother Jonesanalysis has found. The combined support of ADM, Cargill, Monsanto, and General Mills alone for this period came to more than a half million dollars. ST LOUIS, MO--Monsanto is seeking public relations counsel as the seed giant attempts to counter fierce opposition to its products in many countries around the world. The Holmes Report understands that the company has issued an RFP that involves PR and social media counsel. According to sources familiar with the situation, Monsanto is aiming develop a more cohesive communications approach, in the face of sustained NGO criticism. Once dubbed 'the world's most evil corporation', Monsanto is no stranger to criticism. Earlier this year, a 'March Against Monsanto' protest was held in numerous countries, following a Facebook campaign that attacked the company's promotion of genetically modified crops. The company recently signalled that it will not attempt to expand its GMOs in many European countries, because of public opposition. While acceptance of GMO crops in other regions is higher, Monsanto has found itself battling US farmers. The company recently won another round in its legal battle with organic growers, but faces new lawsuits from farmersregarding GMO wheat. The US Senate recently rejected an amendment that would require mandatory labelling of GMO foods, despite pressure from consumer groups. The Biotechnology Industry Organization, which includes Monsanto, DuPont and other major players, has said that it supports voluntary labelling. State legislatures in Vermont and Connecticut, meanwhile, are pushing ahead with mandatory labelling plans, while Whole Foods has said it will implement its own labelling policy by 2018. Monsanto is not thought to work with a PR agency-of-record in the US, but has enlisted support Burson-Marsteller and APCO on recent projects. Representatives from Monsanto did not respond to request for comment as this story went live. Perception is everything. And the public’s perception of Monsanto is, well . . . “World’s Most Evil Corporation” neatly sums it up. Most of the world has awakened to the dark side of genetically modified organisms (GMOs). People are literally marching in the streets, all over the world, to show their disdain for Monsanto’s planned takeover of the world’s food supply and its penchant for drenching the planet in herbicides and pesticides. Monsanto, meanwhile, has awakened to the fact that it has a little PR problem. According to the Holmes Report, a resource for public relations professionals, the Biotech Bully is looking for some experts to help paint a pretty face on its evil deeds. Talk about a challenging job. Meanwhile, someone is obviously already helping Monsanto smooth over its little problem concerning the killing off of honeybees. According to the Pesticide Action Network, Monsanto had the gall last week to host something called the Honey Bee Health Summit, a gathering at the company’s headquarters in Missouri where, presumably, the pesticide-maker feigned great concern for the plight of honeybees. It just tests the limits of credulity, doesn’t it? In another glaring example of how Monsanto has the U.S. government in the palm of its Roundup Ready-covered hands, the U.S. Environmental Protection Agency (EPA) is poised to raise – yes, raise – the limits for glyphosate residue allowed on fruits and vegetables sold in the U.S. stores. Glyphosate is the key ingredient in Roundup, Monsanto’s widely used broad-spectrum herbicide. The deadline to tell the EPA what you think of its new ruling is July 1. The new EPA ruling is incomprehensible in light of the barrage of new studies revealing how much more dangerous glyphosate is than we originally thought. Monsanto’s story has always been that Roundup is harmless to animals and humans. Not so, say scientists who point out the many ways in which glyphosate causes widespread systemic damage to human health. One recent study found traces of the poison in the bodies of people in 18 European countries. And far more glyphosate is used in the U.S. than in Europe. Unless the EPA changes its mind, and decides to protect us rather than Monsanto, flax oil, canola oil, soybean oil and olive oil will be allowed to contain glyphosate residues of over 100,000 times the concentration known to cause cancer. And that’s just the half of it. TAKE ACTION BY JULY 1: Tell the EPA to Lower the Allowed Limits for Monsanto’s Roundup! University of Canterbury (UC) researchers have found that the biotechnologies used in north American staple crop production are lowering yields and increasing pesticide use compared to western Europe. A conspicuous difference in choices is the adoption of genetically modified/engineered (GM) seed in North America, and the use of non-GM seed in Europe. The team led by UC Professor Jack Heinemann analysed data on agricultural productivity in north America and western Europe over the last 50 years. Western Europe and north America make good comparisons because these regions are highly similar in types of crops they grow, latitude, and have access to biotechnology, mechanisation and educated farmers. The findings have been published in the peer-reviewed International Journal of Agricultural Sustainability. “We found that the combination of non-GM seed and management practices used by western Europe is increasing corn yields faster than the use of the GM-led package chosen by the US. “Our research showed rapeseed (canola) yields increasing faster in Europe without GM than in the GM-led package chosen by Canada and decreasing chemical herbicide and even larger declines in insecticide use without sacrificing yield gains, while chemical herbicide use in the US has increased with GM seed. “Europe has learned to grow more food per hectare and use fewer chemicals in the process. The American choices in biotechnology are causing it to fall behind Europe in productivity and sustainability. “The question we are asking is should New Zealand follow the US and adopt GM-led biotechnology or follow the high performance agriculture demonstrated by Europe? “We found that US yield in non-GM wheat is also falling further behind Europe, demonstrating that American choices in biotechnology penalise both GM and non-GM crop types relative to Europe. “Agriculture responds to commercial and legislative incentive systems. These take the form of subsidies, intellectual property rights instruments, tax incentives, trade promotions and regulation. The incentive systems in North America are leading to a reliance on GM seeds and management practices that are inferior to those being adopted under the incentive systems in Europe. “The decrease in annual variation in yield suggests that Europe has a superior combination of seed and crop management technology and is better suited to withstand weather variations. This is important because annual variations cause price speculations that can drive hundreds of millions of people into food poverty. “We need more than agriculture; we need agricultures – a diversity of practices for growing and making food that GM does not support; we need systems that are useful, not just profit-making biotechnologies – we need systems that provide a resilient supply to feed the world well,” Professor Heinemann says.